Description: CLEARANCE!!!! 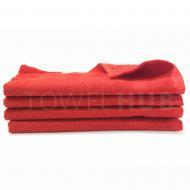 Orange Premium Plus Hand Towels available in Bulk with a dobby border and end dobby hem. DOUBLE STITCHED and Made of 100% premium plus cotton. Perfect to use for businesses, sports, salons. Available at a great low wholesale price! Description: Premium Plus Royal Blue Hand Towels in Bulk. Dobby border and end dobby hem. Perfect for any high-end use. Available at a great low price! Looking for a heavier one look at the 16x27 - 3lb hand towel premium plus. Description: Wholesale Beige / Ivory color Hand Towel in premium plus quality. Not too heavy and not too light. Dries easily. Double Stitched reinforced hems. Very durable. Available at a great price! Can be used where ever you need a nice small hand towel. Description: ON CLEARANCE!!!! Premium Plus Gold Hand Towels available in bulk made with 100% premium plus quality ring spun cotton. Not too heavy, easy to wash and dry. 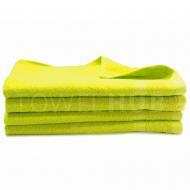 Excellent hand towel for Salons, Gyms & Sporting activities. Available at a great price as always! Description: Premium Plus White Blended Hand Towel with dobby border available in bulk. Made of 86% cotton 14% polyester blend. Towel loops made of 100% Cotton. Available at a great bargain price here at TOWELHUB. Description: ON OVERSTOCK CLEARANCE!!!! 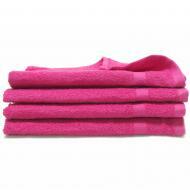 Wholesale Orange Hand Towels made with premium plus ring spun 100% cotton. 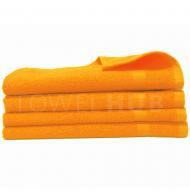 Perfect to use for Gyms, Salons, Teams, Events and wherever you need a good quality hand towel in orange color. Available at low wholesale pricing! 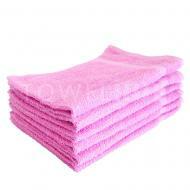 Description: Premium Plus Purple Hand Towels in Bulk. DOUBLE STITCHED on the sides for extra strength. Perfect to use for Salons, Gyms, Teams, Spas, Golf Clubs. Low price offer!